A trip to Costco is a major time commitment — there’s shopping to do, book aisles to browse, and free samples to eat. But shopping in bulk doesn’t work for everyone, especially people who simply can’t find the time or don’t have cars. Luckily, we won’t have to miss out on those bargains for much longer because — wait for it — Costco now delivers directly to your door. The grocery delivery service Shipt has started a program that delivers Costco orders to your house or apartment. What could be better, you ask? Well, according to MarketWatch you don’t even need a Costco membership to use the service. If you are a member, you’ll earn points for the delivery. The only catch is that there’s a $99 annual Shipt subscription fee — but you can also use it for deliveries from local grocery stores. The process is simple — place your order, select a one-hour time window for delivery, and a Shipt employee will do your shopping for you and then bring it to your door. Shipt’s delivery partnership with Costco is kicking off in Tampa, and we hope it will eventually be available nationwide! If you simply can’t wait for those deliveries, check out Instacart — the service is currently available in 24 states and Washington D.C., and it also delivers Costco to your home. 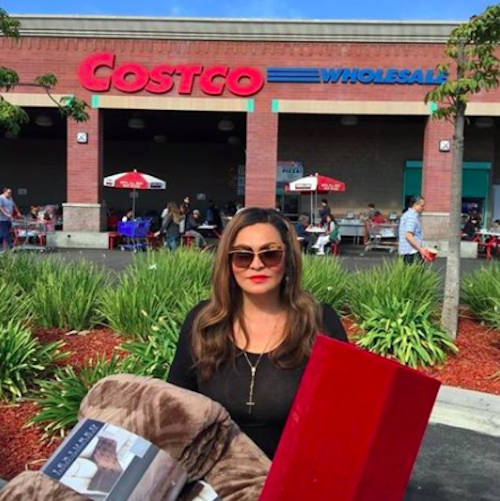 Sure, you’ll miss out on the delicious pizza and the book browsing — but this service is a godsend for people who don’t have the time or resources to make a Costco trip.